When did I first hear someone say “namaste”? No surprise, it was uttered at the end of my first yoga class two decades ago. I had no interest in yoga until then. I had to be persuaded to try it. But I was immediately hooked. 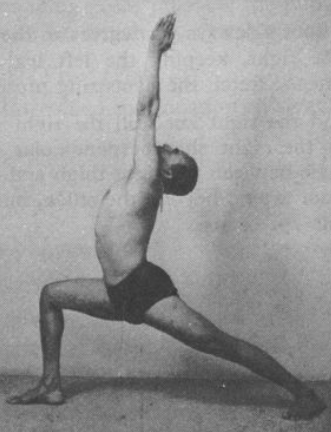 After class I asked the teacher about the type of yoga she taught (“Iyengar? How do you spell that?”). A dozen years later, when I began teaching myself, I followed my teachers’ lead and ended my classes this way. Recently, however, I listened to “Namaste” on The Allusionist, a fascinating podcast on language by UK-based Helen Zaltzman. Suddenly, I realized that the use of “namaste” to end yoga classes is a modern, Western habit. Take a listen. Yes, he annoyingly lumps all yoga teachers into one mock-worthy category. But he’s also frank and snarkily amusing—and he raises issues worth considering. Zaltzman proceeds to interview a couple of professors, including Andrea Jain, an Indiana University professor of religious studies and the author of Selling Yoga: From Counterculture to Pop Culture (2014, Oxford University Press). This podcast got me thinking: Why do I say “namaste” to end my classes? Am I blindly following convention? What does it mean to me? In India, “namaste” is spoken mostly to elders, to show respect. Parents tell their kids to place their hands together, close their eyes, bow, and say “namaste” to uncles and aunts. It’s a respectful hello, but not necessarily an expression of spirituality. 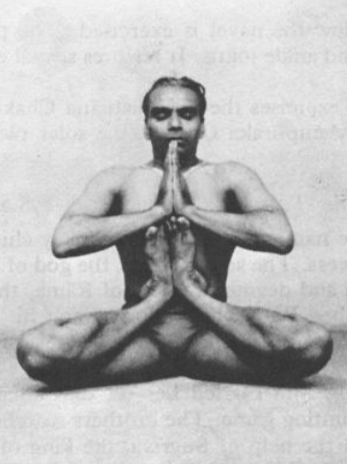 I tried to recall what Prashant Iyengar did during my month at RIMYI in August 2014. I asked about the late Geeta Iyengar, who didn’t teach during my month there. Apparently, she sometimes left the room during Savasana, perhaps to avoid a queue of students seeking her counsel after class. But, during the last week of a month-long session, she made a point of staying on the stage—perhaps because she knew how much it meant for some students to be able to thank her with a sincere “namaste.” She was also open to people approaching her in person, to express “namaste” closer up, toward the end of a month. After listening to the Allusionist podcast, I second-guessed my saying “namaste” to end classes—not because I think it’s wrong, but because I fell into the habit rather mindlessly. In this case, however, I adopted the word “namaste” without really explicating why. I considered simply thanking students for coming to class. Safe. Secular. Uncontroversial. But, saying “namaste” resonated with me. I like the idea that inside me lurks a better self, who can connect with the better selves inside others. I also agreed with Jain’s observation that saying “namaste” have a ritual purpose to delineate yoga practice. Curious, however, about Indian yoga students’ perspectives, I conducted an informal survey. In no particular order below are excerpts (slightly edited) from five respondents. All are ethnically Indian and grew up in India. They range in age from 20s to 70s and include three males and two females. Most moved to the US or Canada decades ago, but have family ties in India. I am no yoga expert but, in my experience, few Indian yoga teachers, in India, teaching Indian students, end with a formal namaste. They usually end with, “You’re the worst class I’ve ever taught!” Just kidding. To me, namaste has always been the greeting of Indians, especially older Indians, when meeting each other (and when departing). It works best when people are first introduced, especially in somewhat formal circumstance, especially with older folk, and especially when being introduced to a wife or mother. It provides a way to greet without touching, something of importance to Indians, especially when there is a large age gap. It is considered polite, more formal that “hello,” and always safe. It is what has been used for thousands of years when meeting and when departing. I would just go with… what feels best at the time. There is nothing sacrosanct about it [and no] need to be consistent either. In karate we would often end with a minute of silent meditation and the karate half bow to the sensei. Sometimes our sensei would remind us, “Karate does not end at the end of class—it begins.” Sometimes something else, serious or funny. In all honesty, I find it extremely weird! In Iyengar yoga classes in India, we chant an invocation to Patanjali and then “om” three times at the end of class. That leaves me with a pranayam type of feeling at the end of class. Whereas just saying namaste doesn’t do much and seems rather superficial. Namaste to me means a respectful greeting. It’s more spiritual to me than hi or hello. When I say namaste, I am literally bowing my head and paying you respect and acknowledging you as a fellow equal human being. I have heard some teachers say “bowing to the light in you.” I have that feeling when I say namaste. I am not bothered by how teachers say namaste or their hand gestures as I appreciate the intention behind it. It would bother me if somebody is mocking the greeting or simply saying it because I am Indian. It is normally easy to tell if that is the case. I don’t get that feeling from yoga teachers. I grew up all over India and we have different greetings in every state. Indians are generally really accommodating and welcoming even if the accents are funny :). Although I am originally from India, my connection with my birthplace becomes weaker as the years go by… Although saying namaste in everyday life in India now serves a different function, I think it’s useful to consider its roots. From that perspective I somewhat like this small ritual of respect. I am less certain about extended chants in Sanskrit in yoga class. I don’t think you should worry about what some Indians might think about it. If it works for you and your students, it’s a relaxing and thoughtful way to end class. As an Indian, I am happy with my yoga teachers ending the class with “namaste.” After all, the word yoga and the names of the asanas are in Sanskrit. So it is fitting that we acknowledge the Indian origins of yoga and end with “namaste.” Yes, sometimes the careless pronunciation by some teachers is grating to the ears. As a child growing up in India, I was taught to greet all my elders by folding my hands and saying “namaste.” So it must have been one of the earliest words in my vocabulary. Being so far away and having left India twenty years ago, I guess for me, this act of folding my hands and saying “namaste” once a day, connects me to that time. I’m still ending my classes with “namaste.” Ostensibly, nothing has changed. But this podcast instigated a valuable thought process. It’s important to know why you do what you do. 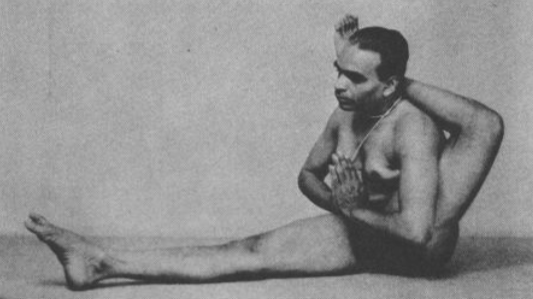 Images: Cover image, Iyengar: The Yoga Master (2007); BKS Iyengar performing in Eka Pada Sirsasana, Virabhadrasana I, and Kandasana, Light on Yoga (1966). Always a good idea to question why we do what we do. Very interesting article. Provocative piece. When you began teaching yoga, did you actually end your classes as shown in the first illustration in this blog? “Explicate” that. If “namaste” might be a deterrent to some (for whatever reason), Eka Pada Sirsasana would scare off the others! Great research. Great post. Thank you. What a great read, Luci. Most of us go with hi or hello in Pune, namaste is usually said when greeting elders. At RIMYI, class just ends and we all troop out. No, Donald did not say namaste. I do and find it a good way to acknowledge each of the students who attended. Interesting and informative piece, thank you Luci! I liked how this post got me thinking. One of my sisters has just returned from five months in India so I asked for her thoughts. She found it was commonly used as a greeting – esp in the north – as one of your commenters said. Also that it was a safe greeting – knowing you wouldn’t be putting your foot in your mouth with a misplaced or disrespectful turn of a phrase. Thanks for the nudge to question!